Conservatism is not an economic theory, though it has economic implications. The shoe is precisely on the other foot: it is Socialism that subordinates all other considerations to man’s material well-being. It is Conservatism that puts material things in their proper place — that has a structured view of the human being and of human society, in which economics plays only a subsidiary role. The root difference between the Conservatives and the Liberals of today is that Conservatives take account of the whole man, while Liberals tend to look only at the material side of man’s nature. Fifty-three years later that remains a constant. Unfortunately for conservatives, much of the hand-wringing over paths forward to victory involve haggling over taxes and balanced budgets and spending and debt to GDP ratios, etc. Ben Domenech gets to the heart of this. The choice for the Republican Party is whether to invest more in the 2010 strategy of this populist strain, to refine it and connect more policy proposals to it … or to embark on an effort to restore the party’s standing as the adult in the room – the competent, clean cut, good-government technocracy that sees the chief appeal of Republican politicians as combining agencies and seeking out efficiencies rather than rolling back government power and draining bureaucratic swamps. The GOP swung back to this technocratic approach on a national scale in 2012, and let’s just say the electoral results left much to be desired. The budgetary and economic wonkery only gets the GOP so far and that isn’t far enough to victory. In truth, I think it will take a magnetic personality to pull the GOP out of the gutter. We live in an age of personality politics. But that personality will have to have a message that resonates with the American public. What resonates right now with the American public is a deep-seated distrust of government. Any Republican way forward must capitalize on this. In other words, the faces in Washington who can play the role are very limited to people like Ted Cruz, Rand Paul, and — if immigration can go away as an issue and the base forgives him — Marco Rubio. The message to seize on is pretty straight forward. Under Republican and Democrat policies in Washington, particularly accelerated in the past five years, the United States meritocracy has given way to an aristocracy. Only those of means can get ahead. Increasingly, they view their role as making life comfortable for the less well off instead of enabling the less well off to become well off. Wall Street, banks, major corporations, politicians, bureaucrats, lobbyists, and the rich are the only ones who can prosper because they are the only ones who can either navigate the system or afford to pay others who can figure out how to navigate the system. For the rest of Americans, from small business to the middle class, the only path is one of dependence on a governmental structure too byzantine to figure out and, should one be smart enough to figure out, too costly through litigation, regulation, and complication to navigate through. An America where, as Lincoln said, every man can make himself, is replaced by an America where men are made by how the government takes cares of their individual circumstances. Students are no longer trained to be creative, entrepreneurial citizens, but to be workers for others. The self-employed are encumbered to the point of needing to be employees of others. The nuclear family is disincentivized and destabilized. The America where one could work hard and get ahead is less and less possible because Democrats wish to force us all onto a safety net on which all are entangled, ensnared, and punished if we escape. Republicans, for fear of being disliked, would rather nibble at numbers than paint a picture of a better America for everyone. Just one fact worth noting: under the present system, enabled by Republican and Democrat alike, a single mother on $29,000.00 a year and government benefits would have to get to $60,000.00 in salary to make it worth her getting off the safety net. This is a bipartisan construct, but one only an outsider conservative can build a campaign around fixing to the betterment of the single mom and everyone else. But, to begin, the Republicans must be able to relate. With distrust in government at an all time high, a relatable Republican is probably going to be a guy who hates the status quo, not one who talks Washington wonkspeak. The Republican Party needs to understand that shrinking its policy aims to more modest solutions is not going to be rewarded by the electorate. Yes, they need to tailor their message better and find policy wedges which peel off chunks of the Democratic base (winning political strategy is built on an understanding that every drama needs a hero, a martyr, and a villain). But what’s truly essential is that the party leadership rid themselves of the notion that politeness, great hair, and reform for efficiency’s sake is a ballot box winner, and understand instead that politicians who can connect with the people and deliver on their limited government promises – not ones who back away from them under pressure – represent the path forward. You weren’t one of Barry Goldwater’s speechwriters. How did you come to write his most famous speech? For most of the campaign, I was on the payroll for the American Enterprise Institute. And I went to the Republican convention with a group of scholars who were sitting in on the platform committee hearings, just to keep our eyes and ears open and see if there was anything constructive we might have to say. After a meeting where I heard Nelson Rockefeller warn about the dangers of extremism, I wrote a two-paragraph memorandum with the line about extremism in defense of liberty. 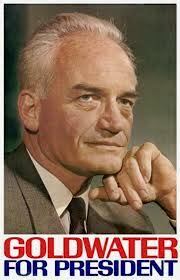 Somehow that filtered up to Goldwater. Then he said he wanted his speech written around those lines. Celebrating extremism doesn’t seem like a way to win over undecided voters. 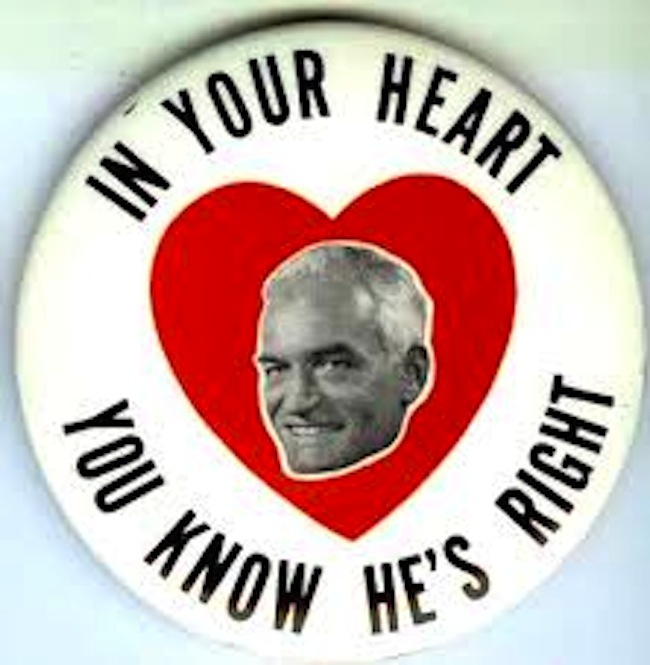 Did you think Goldwater had a chance? The people close to Goldwater thought he had a shot, but I didn’t think so. Look at the political circumstances: The country was very prosperous, the Vietnam War was just a small cloud on our horizon, and Kennedy had just been assassinated. I thought of the Goldwater campaign as an attempt to educate the American people and the conservative movement itself, which I hoped to influence. 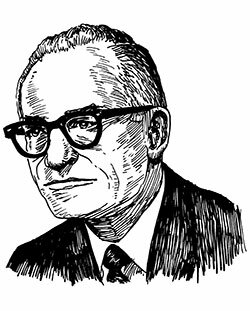 What was the conservative movement like before Goldwater’s candidacy? It called for stronger foreign policy than the Kennedy administration was pursuing, and had a general commitment to free enterprise and against state socialism. Back in ’64, federal revenues were rapidly increasing. But instead of lowering taxes, that money went into the War on Poverty, which supplied half of the jobs for the Democrats but never did anything to make the poverty level less. I had read Friedrich von Hayek’s The Road to Serfdom, and it convinced me that some version of the free-market economy was the basis for a free society. When I spoke on campuses, I emphasized that a rapid increase in federal revenue should not be used for new programs. But we certainly had no intention of getting rid of Social Security or any of the things that were in place with the New Deal. Remember: Ronald Reagan and I were both good New Dealers. But we believed that as the business community revived, as it did through the war, there wouldn’t be much need for the kinds of things the New Deal did. Many people see Reagan’s ­presidency as the culmination of the conservative movement galvanized by Goldwater. Was Reagan really the heir? Yes. In 1983, Reagan gave the Goldwater campaign all the credit for forming the principles of his administration. I made a speech in 1965 where I told people that the reputation of the Goldwater campaign would be determined by events that had not yet happened. That was a pretty good prediction. 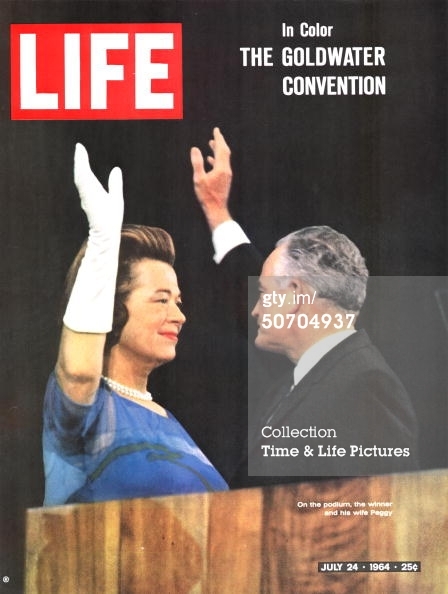 It gave us a platform, and it gave a great impetus to the conservative movement. Even when we went down to what looked like a bad defeat. If Reagan had been a candidate in 1964, he wouldn’t have gotten any more votes than Goldwater did. And if Goldwater had been a candidate in 1980, he would’ve gotten the same votes as Reagan did. The art of politics is judging what circumstances permit and what they forbid. Look at the reputation of, say, John Brown and the abolitionists before the Civil War. Lincoln had very harsh things to say about John Brown in 1859. The Civil War vindicated John Brown. And do you think the Reagan Revolution continues with today’s Republican Party? Political parties are always being formed and re-formed. They’re never a fixed entity. The great danger to the Republican Party right now is Ron Paul and the—what do they call themselves? Yeah. As far as I’m concerned, they’re anarchists. And they’re no different than Communists in their opposition to capitalist government. Remember, the ultimate object of Marxist Communism is to return to the Garden of Eden with no forbidden fruit. That’s the goal of libertarianism as well. And we’re marching rapidly in that direction. Morality is disintegrating in front of our eyes. So why do you continue to be such a supporter of the Republican Party, especially since its libertarian wing is ascendant? Well, I think if Obama is reelected, then that’ll be a disaster of immeasurable proportions. If the government takes over large segments of the economy, we will become a socialist state. The salvation of the Republican Party, and of the country and of the world, will be changing the conservative moment to reflect the principles of Abraham Lincoln. The platform on which Lincoln was elected in 1860 quoted part of the Declaration of Independence: Government is based on the consent of the governed.